Set Your 2015 Resolutions For The Trail! First and foremost, your first resolution should be to simply get out and wheel more trails! From the quick hour excursion to a multi-day trip, getting out there is the key. There is nothing like pushing your Jeep Wrangler over a boulder or smashing the gas down a desert trail. Grab your calendar today and start making some plans. You will be better for it! Cheap gas prices look like they may stay around for a while and this means next year could be the ideal time to take that road trip to one of the top trails. These trails are the Rubicon trail in California, a trip to Moab, Utah or Johnson Valley, California (Home of the King of the Hammers off-road competition). Each of these trails will push you and your Wrangler to its limits. Before you head out, check out our selection of different gear options like armor, lights, wenches and extra gas cans to make your trip more enjoyable. Ask yourself what you really need to get over the obstacle? Larger tires? Maybe you need slightly more horsepower through a cold air intake kit? Whatever you need, we have it. When it comes to tackling a trail, height is always a good thing. From getting over obstacles to greater visibility, more lift is your best friend. 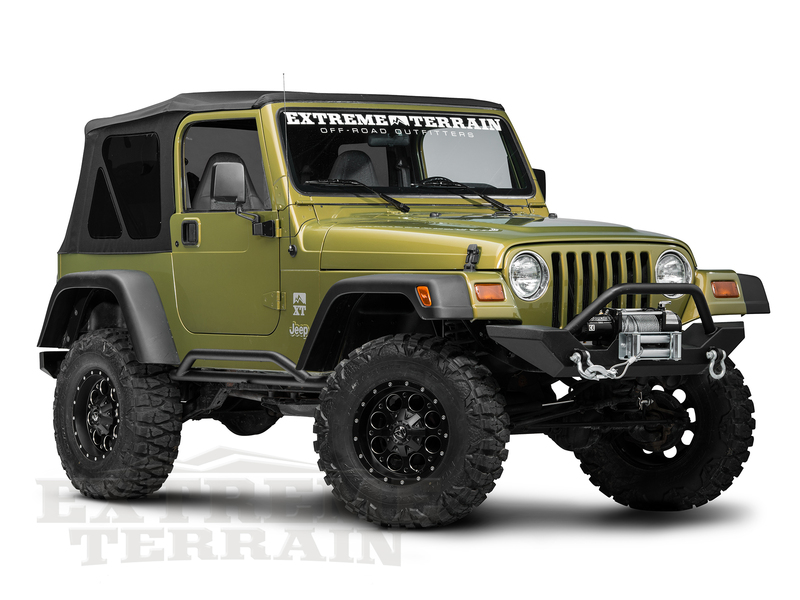 Adding a lift kit to your 2015 off-road resolution list is a must. Lift kits come in many different sizes and styles. You may simply want to add a leveling kit to raise the front-end a tad, change out the springs for a slight raise or you may want to add more than 5 inches! There plenty of choices to pick from and installing a lift kit can be done at home. Another good resolution is to simply get better at cleaning your Jeep when you get done wheeling. Sure, a dirt covered Wrangler is like wearing a badge of honor. Yet, it really isn’t good for it. Dirt can add additional weight to the powertrain and cause damage to the components. It can seep into air filters and cause a dirt cloud to come out from your air vents. This year, take the time to properly spray off your Jeep when you are done. It and your wallet will thank you for it. When it comes to making a 2015 off-roading resolution list, you really can’t go wrong anyway you go. Just remember to be safe and take enough gear and supplies to handle anything the trail throws at you. Happy wheeling in 2015! What’s your 2015 New Years Off-Road Resolution? 1. Save enough money to replace stock bumpers. 2. Get the new rig stuck at least once. 3. Join a club.